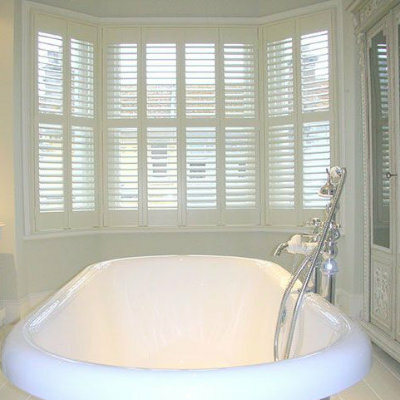 Window shutters Gloucestershire from your local shutter experts, husband and wife team Rob and Linda Reeves. Gloucestershire, with it’s rolling hills and stunning countryside is a picture perfect place to live. If you want to make the very most of your views, bring the outside in, have fabulous light and shade versatility and to make the very most of your windows, you should consider beautiful Plantation Shutters from Just Shutters. Whether your home is old or new, your style modern or traditional, we have the widest range of materials, finishes and styles available in the UK and can create the perfect solution for you. What is more, our experience in satisfying more than 8000 happy customers means that our expert knowledge, attention to detail, and experience in all types of property puts you in safe hands. Of course, for further piece of mind, our shutters come backed by our lifetime guarantee. We would love to show you why we have such high brand affection and what we can do for your home. Please call us on 0845 894 0700. Measurement fitting of 4 windows for shutters.